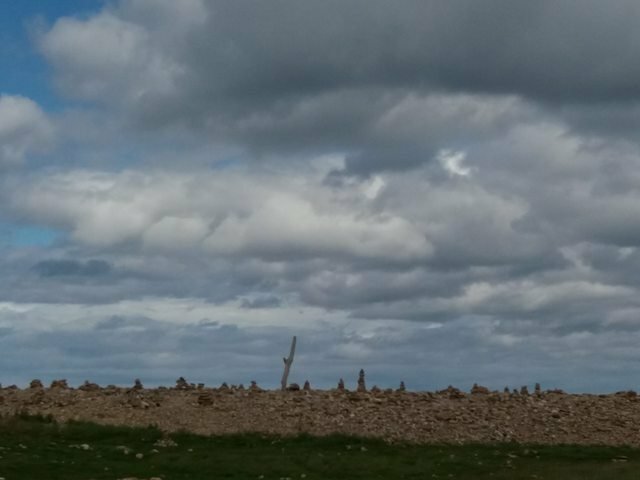 Leaving Newcastle behind, I followed the coast north to Lindisfarne, where the famous Holy Island is linked to the mainland by a long causeway. Twice each day the incoming tide drowns the road. But this morning it ebb tide was slowly uncovering the stakes that marked the Pilgrim’s Way across the mudflats. Already a few hikers had taken off their boots and were wading out towards the looming bulk of the castle on its mound. 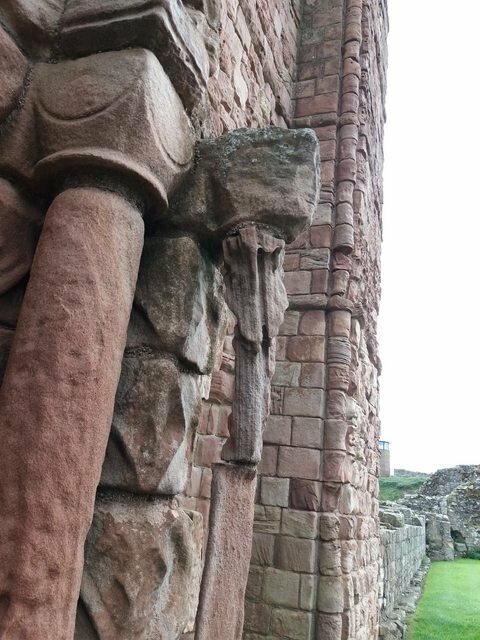 The Norman Conquest finally brought the Celtic-influenced monasticism to an end. 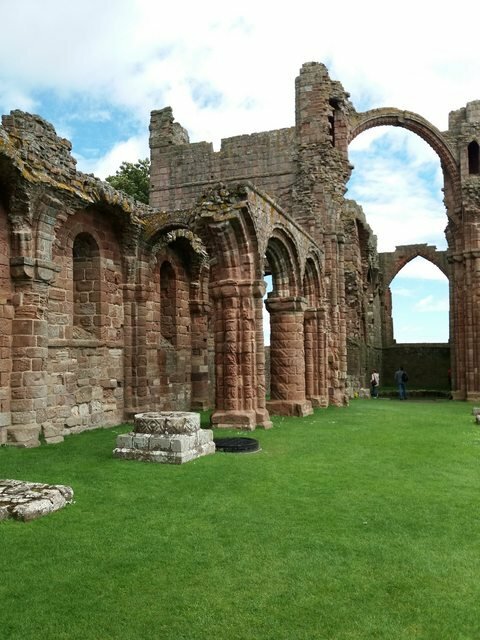 The ancient church was replaced by the Benedictine Priory, whose 11th century ruins make clear the connection – cultural and theological as well as architectural – with the Romanesque grandeur of Durham Cathedral. 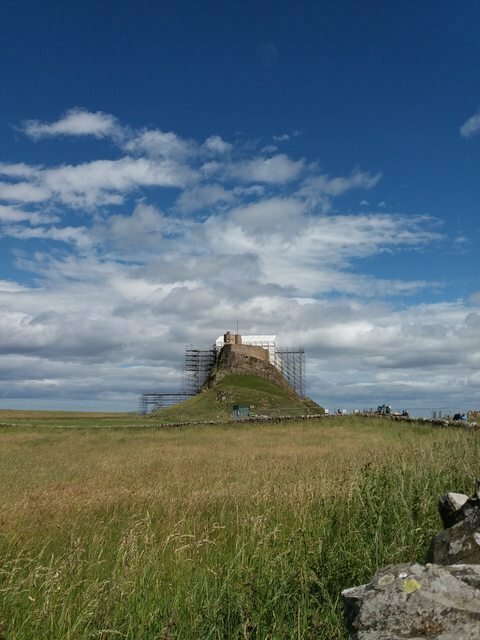 Following the dissolution of the monasteries by Henry VIII, Lindisfarne Castle was built in the 1550s on a volcanic mound known as Beblowe Craig, using stones from the demolished Priory. The castle is currently being renovated by the National Trust. On this Sunday, the empty scaffolding was home to a pair of merlin wheeling around in the sea wind. If you're interested in reading more, the official website for the site is here. And please check out Part 1 of this trip report right here on Steemit, and upvote and reSteem if you haven't already!